NERUDA is a unique fantasia on the life of Pablo Neruda’s time in hiding. As a Communist the Chilean government wanted him rounded up but he decided to hide out instead before heading into exile. 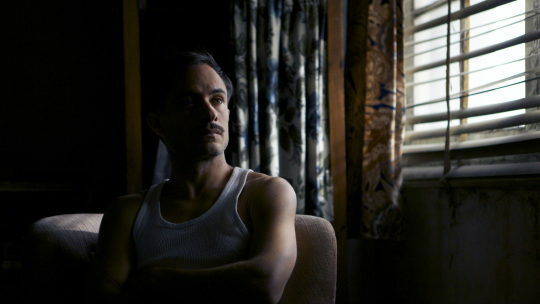 The film is structured as a kind of epic film noir biography where a fictional detective played by Gael García Bernal is given the task of tracking down the poet. It’s a hyper-literary hyper-meta film that is very aware it’s an old school thriller masquerading as biography. I really liked this film. I absolutely loved the film for the first half. There is something about the way the film unfolds mixing reality and fantasy with literature and movie conventions that absolutely delighted me. It’s a film in love with the craft of creation. It’s just a joy. The problem is there is a point where any plot motion ceases and the film simply becomes a chase around the country. 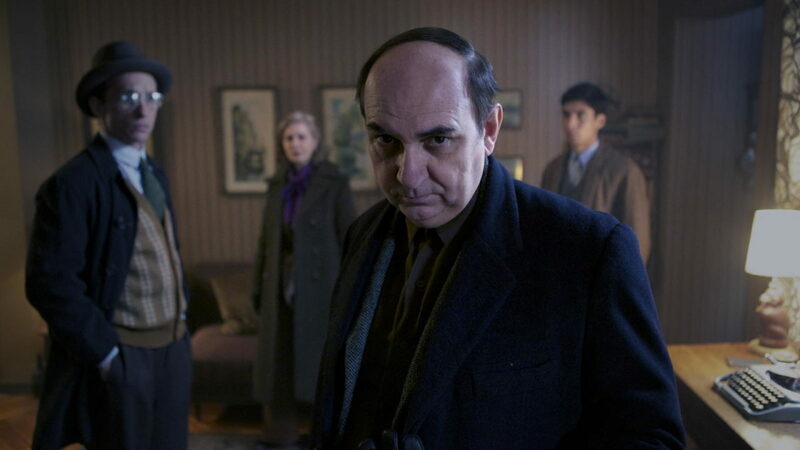 We remain engaged because the film hooked us earlier, but not much happens Neruda is chased and the detective ponders that’s about it. Eventually the film jettisons any real notion or reality and as the film turns into a defacto western it’s more a film of ideas than reality. After the film several of us discussed the film. Half of us hated it after a certain point while the other half, myself included, liked the film but admitted found that the best way to enjoy the film is not to think about it but simply take it as it comes. If you take the film on its own terms you’ll like it. Is the film truly a biography of Neruda, I have no idea. I doubt it, I’m guessing it’s more a meditation on his ideas and life than anything. I recommend the film on its own terms. Anyone who wants more should look elsewhere. 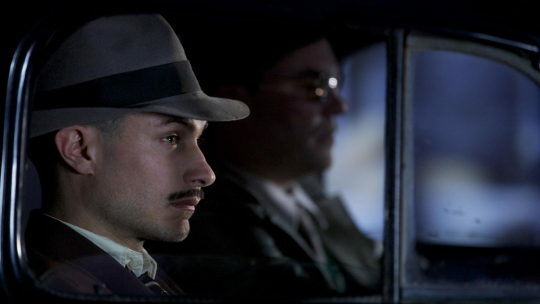 NERUDA plays October 5 and 6 at the New York Film Festival. For more information and tickets go here.